Flipping houses refers to buying a house and then selling it shortly afterwards, ideally for a profit. You buy a house that’s cheap (below market value) because it needs work and you put in the time and work needed to bring it up to standard and then sell it. You buy a house below market value that doesn’t need work but the sellers are motivated to get out quickly, so you can swoop in and pick it up for a deal. There’s money to be made here, lots of it. And TV shows have done a good job glamourizing that potential. To be clear, there is money to be made in flipping, but flipping houses isn’t investing. We don’t look at buying a property and renovating it for a “quick sale” as investing. To us, it’s an active business and should be treated as one. The time and energy involved aligns much more with that of a general contractor, or even developer, depending on the size of the project. It’s also very rare to see anyone who has done a few of these projects to have systems in place they can follow since each is unique and requires different attention and work. However, it can be profitable, and there isn’t just one way to make money in such a business of flipping houses. This is the most common approach and one that is glorified on countless TV shows. You find an older home (most often), that is outdated or poorly maintained, buy it for substantially less than a similar one in great condition would sell for, renovate, and sell. We’ve made income from this approach in the past, as have others we know, but we also know people who have lost money on their flipping houses projects using this strategy. A friend of ours told us he was planning to start flipping houses in the Golden Horseshoe. He was so confident that this was a great and easy way to make a profit. We couldn’t help but laugh … hard. That’s because we still think back to Nick’s first flip. At 21-years-old, Nick also thought he had figured out a great way to make money. He knew it was going to be work, but as is the case with most new flippers, the home held many surprises. He spent a couple of months updating a small 2-bedroom home in Mississauga. What Nick didn’t realize, and a lot of new flippers don’t realize, this home needed a lot more work than he’d planned. It required basement foundation repairs (you could see daylight through the cracks in the foundation! ), a complete kitchen renovation, a new basement interior (after the foundation work was completed), two new bathrooms, new floors throughout, and cleaning up the yard and gardens. See flipping houses is not easy. He spent all of his free time on this project. He was over at the property day and night, and even on lunch breaks. The good news… when he finally sold the property, he made a profit. The cheque from the lawyer after closing was for approximately $31,000. Not bad right? Especially for a 21-year old flipping a home for the first time. The thing is, he didn’t actually walk away with $31,000 in cash. He still had to pay off all his expenses from the project. Nick ended up with only a little more than $3,000! Still a profit, but not by much considering the time he poured into the house. We did the math, and if he’d worked part-time somewhere for minimum wage on evenings and weekends, during those few months, he would have made more money then flipping houses! 1. Never buy a 2-bedroom house. They are far more difficult to sell because the pool of home buyers looking for 2 bedrooms is small. It’s also largely made up of people with smaller budgets. Even adding a third bedroom in the basement is challenging to sell if there are only two bedrooms upstairs. Nick didn’t expect to spend as much time or money on basement repairs and updates. That’s partially because he was new to flipping, and partly because he was misquoted by the first contractor he hired. This is why it’s a good idea to get multiple quotes, especially if you don’t have a trusted go-to person on your team who knows what to look for and has done similar flipping houses projects. 3. Flipping houses will be more work and more stressful than you except. The good news is that we both learned a lot from Nick’s flip. And since then we’ve both flipped and invested in more properties. Nick may have only ended up with $3,000 in his pocket, but the lessons from this first flip were worth far more to both of us. It taught us what type of home to buy, when to buy, how to sell a home, how to deal with realtors, and what upgrades are worth it and which you can skip. These are commonly underestimated. If you haven’t done renovations in a while be sure to update yourself with the current costs for the work or you may be in for a big surprise. This was a big reason Nick didn’t make nearly as large of a profit on his first flip. He hadn’t budgeted for the level of work that needed to go into the basement foundation. It was a costly oversight and a common one for anyone new to the field. In the early stages, it is better to work with someone with experience, so you can better plan and budget for the cost of repairs when flipping houses. Are you planning on selling the home for top dollar once you’re done but are using low-end materials for the job? You may be in for a surprise. Use the appropriate quality of finishes for the price point you’re looking for and budget them accordingly to avoid cost overruns. You don’t want to cheap out on material, but you also don’t want to be extravagant and update the home past the point of where you’ll see a return. If you’re flipping starter houses, you don’t need to go top of the line, but it should be nice, good quality, and comparable to the finishes in the same category of home in that area. Be realistic with the time and money you will need to own the property and finish the planned updates, include some time for the sale and for the future owners to take possession after you have an agreement in place. This can cut into profit quickly if you aren’t careful. Keep in mind the costs associated with the purchase and sale as well. When flipping houses for the first time, these are the most common things we see investors miscalculate. And since many start with lower-priced properties, there isn’t much margin for error. For example, if you’re buying a home for $375,000 and you think it could sell for $450,000 after you’re done, it sounds like you’re getting a great deal. But that $75,000 can disappear quickly. We spent almost $10,000 on a simple bathroom at a rental property last year, and we didn’t overpay. If you renovated a couple of bathrooms with decent furnishings, give the kitchen a bit of a facelift, add some fresh paint, flooring and landscaping, plus transaction and carrying costs, there may not be much profit left. That’s without doing too much work. So what seemed like a great buy may not be as good as you thought with accurate costs calculated. If you’re going to undertake such a project, be prudent with your calculations ahead of time to minimize surprises down the road. Once you’ve completed the project, you will be selling the property for market value at the time, which has a lot to do with the emotional appeal you can create. It introduces some risk to the equation as market swings can occur and change your bottom line. This risk grows or shrinks with the length of time you take to turn the property over. The market can change quickly, so there are a lot more unknowns around the market if you’re looking at a 6-month project compared to a 6-week reno. There is not much driving the price other than market forces and the emotional appeal of the home. On that note, you should know that you can sometimes break the limits other people will put on you. A member of the Rock Star team has proven this time and time again as he’s updated and sold dozens of properties. He was continuously told that his asking prices were too high by realtors in the area, but with extreme attention to detail and putting a focus on uniqueness and lifestyle, he proved the naysayers wrong. However, there is a lot of thought and effort put into exceeding typical ‘market’ prices, so if you plan on this approach, you must take care of every fine detail to truly make the home a destination (we’ll talk more about this in a bit). In theory, this approach is not much different than the first approach, just on a larger scale of flipping houses. Instead of being a renovator, you would be a developer. The reward can be higher, but there is substantially more work involved and the hurdles that come up will be much larger as well. Things like permits, bylaws, and construction financing, all come into play at a much different level. Anyone who has renovated an old house knows there are always some surprises, compared to building new, renos are a walk in the park. But that’s why there is opportunity with this approach. The profit potential in most things is directly related to the amount of problems you’re willing to deal with. When renovating a property, most mistakes can be overcome quickly. In this scenario, they can lead to a lot of trouble, so surrounding yourself with an experienced team is vital. Finding the right people to work with will be your key to success here, especially if it is your first time building a home. This is a strategy overlooked far too often. The process of buying and renovating or rebuilding is similar, but the difference is you can sell the property as an income property (or keep it as your own cash machine). Selling the property based on income gives you a much more reliable idea of the price someone would pay for the property once it’s complete. This removes a lot of the uncertainty around market fluctuations because you can gauge the rate of return an investor would get at different purchase prices, and there are always people looking for a good return on their investment. For example, if you were selling a property and it had a 20% cash-on-cash return, there would be a lineup of investors interested. At 10%, demand would be less but still strong. This means, with more certainty, you can start your calculations with the sale price and work backwards. Essentially you’re taking the emotions out of the perceived value of the property. • To either buy a mismanaged rental, upgrade it, and increase rents – which in turn forces appreciation because the income that the property produces has gone up. • Or to buy a property that has a lower value use and convert it. Some of our most profitable investments have been buying single-family homes near universities and then turning them to student properties. We were able to force appreciation by having the property produce income and refinance it after the work was done to pull out our money while it still created strong cash flow. For example, when Nick bought his first “flip,” it came after months of pounding the pavement looking for good deals. He went out looking at properties for weeks and weeks. Once he found that flip, he focused on it for months until he fixed it up and sold it. Literally, weeks later, a friend of his at a men’s league hockey heard about his flip and mentioned he found a good property to “flip” by McMaster University in Hamilton. They bought it shortly afterwards, fixed it up, refinanced it, pulled out all their down payment, and they still own that property today. It’s been spitting out cash flow ever since. It doesn’t have to be a student property, converting properties into a duplex or triplex, or just adding an in-law suite can have similar results. This is becoming a popular approach among many of the members we work with. We even offer classes on this approach as part of our membership. You can learn more about that here. So if you’re looking at flipping houses, there are a few strategies to consider and details to be conscious of for all. For anyone who has done it in the past, it is obvious that this strategy is much more of an active business than a passive investment. But we all need income to use for other things. The most successful people we’ve seen flip properties using any of these strategies use the short-term income to invest in long-term assets. One makes money; the other creates wealth. It can be a nice way to have your cake and eat it too! 1. Before you get started flipping houses (or next flipping project), you’re going to need a reliable contractor who you can trust. Regardless of their experience and list of references, you’ll need to be the project manager. You’re ultimately responsible to make sure that things are completed on time and done to your satisfaction. 2. You always want to have access to money. A friend of ours did a multi-million dollar flip a few years back (one of many), but this time his construction loan wasn’t enough to finish the project. Luckily, he was prepared and had access to “private money” where he could borrow what he needed quickly, without the long process of going back to the bank. 3. People will pay more for a home when you’re selling a “lifestyle” compared to another detached, 3-bedroom, 2-bath house with X, Y, and Z listed out. You want to evoke emotion. Instead of adding a “home gym,” add a “fitness centre” to the home. This may mean you connect a bathroom to the gym, and you add a steam feature to the bath. Maybe you add in a sauna. Small details can have a big impact. Maybe, you add a media centre for entertaining. Someone we know adds a multi-level theatre in his homes … even if it’s townhouse … and he throws in a snack bar and popcorn machine to add that excitement and emotion to the home. These small differences make a noticeable difference in high-end flips. Whatever price point you’re working in, there are ways you can set your home apart. You want to keep “lifestyle design” in mind. What small details can you add to your home that the one across the street doesn’t have, which is going to be special and exciting for your prospective buyer? 4. Make sure you’re buying in the right neighbourhood for the type of renovation you’re looking to undertake. Too many people make a home too luxurious for a neighbourhood, and there are no comparables in the area to support your higher listing price. You want your home to feel different and special, but it still needs to fit into the neighbourhood. While flipping houses in Canada for a profit can be challenging, it’s definitely possible. A lot of people looking to make money from real estate look for motivated sellers, where they can buy the home for cheap, and quickly flip it. Instead, why not find nice homes, in nice areas? Why not begin creating an asset base that works for you? What if, instead of selling the assets (homes) you’ve purchased, you held on to them? Isn’t that what some of the best investors do? Buy assets and hold them with no foreseeable intention of selling? Think about it. Isn’t the point of getting into real estate investing to create wealth for yourself? Are you looking for another job, or are you looking to start making your money work for you? 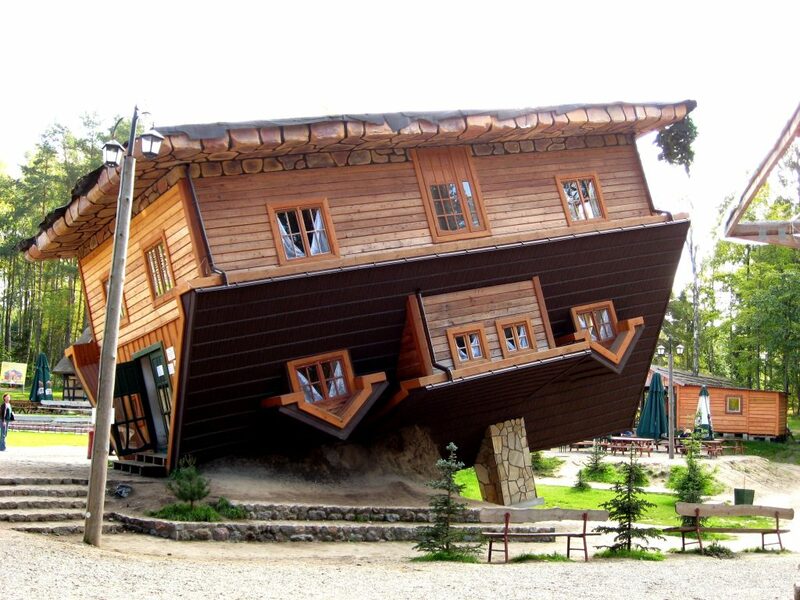 The reason it’s difficult to ‘flip’ properties is there isn’t a system for you to follow. When you’re in the business full time you’ll have people call you up, deals will show up as your name becomes better known. But when you’re trying to flip properties in your spare time, it can be challenging to continue finding good properties to flip for a profit regularly. You may make a profit from one project, but then it could be months before you’ve found another home worth flipping, and then you have to go through the time and work of another project before you see the money. There’s no continuous, reliable source of income. Finding nice homes in nice areas is a little easier, right? Nice homes draw nice people to them. Your property will attract a good group of individuals wanting to rent your home. And there are some real upsides to owning and renting the home to nice people compared to simply selling your home to a nice person. Monthly positive cash flow is one of those big upsides. Wouldn’t it be fantastic to start receiving regular cash flow from your investment right away? This is completely possible. With the right strategy and approach, you can buy a good home in a desirable area, and rent it out to good tenants. One of the strategies we use even gets thousands of dollars from the tenant, before they even move into your home. That’s on top of the regular monthly cash flow. Plus, when it comes to tax time, there are tax deductions for landlords. As you own the home, you’re building equity (thanks to the tenant paying off your mortgage), and appreciation. Doesn’t this sound more like investing? Putting money into something that regularly produces wealth. The best part is that there’s already a system you can follow. You’re not stuck trying to figure out how to do this. So, stop spending countless hours searching for “deals” and motivated sellers. Go out and switch your search to nice homes in good areas, and start collecting cash flow from them. 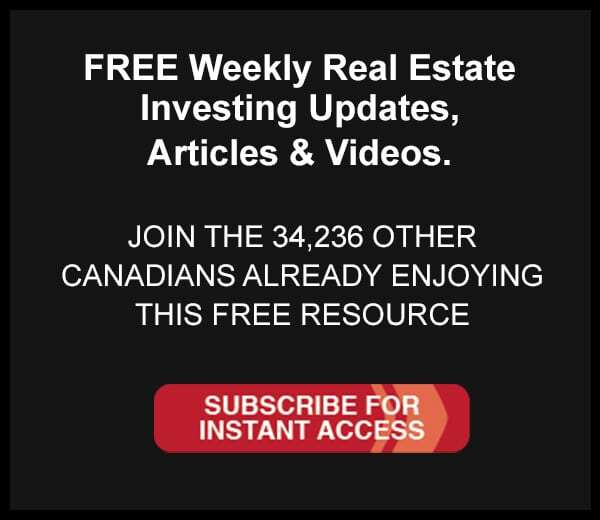 If you’re interested in learning more about investing in nice home in nice areas, we offer a free class in our office to the public about this exact investing strategy. You can find out more about the class and register today at www.CanadianRealEstateTraining.com.